Following the implementation of more stringent immigration policies, there has been an increase in the violation of the rights of migrants—many of whom are minors—who lack the necessary migratory documentation in Mexico and Central America, whether that be in their country of origin, while in transit, at their destination or on their return. As such, consular protection should be positioned, institutionalized and consolidated as a state policy, being a responsibility shared by all countries within the region. 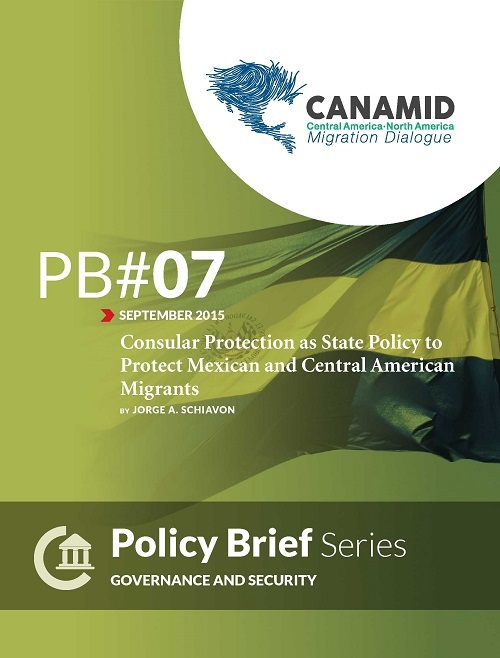 Fortunately, in the last decade, Central American governments, following Mexico’s example, have begun to place consular protection as a priority public policy; however, they continue to favor diplomatic work over consular responsibilities.